Hotel Villa Nabila is newly renovated: 25 cozy rooms, decorated in a contemporary style and equipped with all amenities. You can choose the preferred accommodation in the quiet and comfortable rooms equipped with every comfort, featuring a beautiful view of the property’s park. The rooms and the toilets have been renovated in early 2016. To begin the day the Hotel Villa Nabila offers you a rich breakfast buffet with a wide selection of sweet and savory food. Please feel free to request your personalized breakfast when booking your stay. The hotel has a free private car park reserved for the guests. 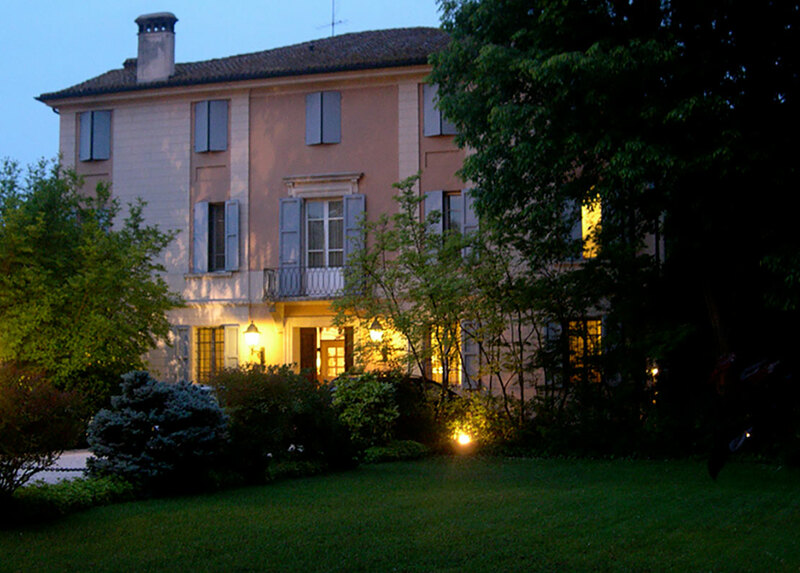 The Hotel Villa Nabila, located in the historic center of Reggiolo (Reggio Emilia), was created inside the stables of Villa Manfredini, a prestigious late ‘700 building, in the historic center of Reggiolo, in the province of Reggio Emilia.The old building, deeply renovated and finished with valuable architectural features, is the ideal destination for those who, for business or on vacation, want to enjoy the quiet nature without giving up the comforts of the city. The hotel is in fact surrounded by a large private park and is located in a strategic position: the Reggio Emilia province, and in particular Reggiolo for its strategic position, represents an important crossroad between the territories of Mantua, Modena and Reggio Emilia. Easily accessible from the Brennero motorway (the REGGIOLO – ROLO exit is just 3.5 km away). 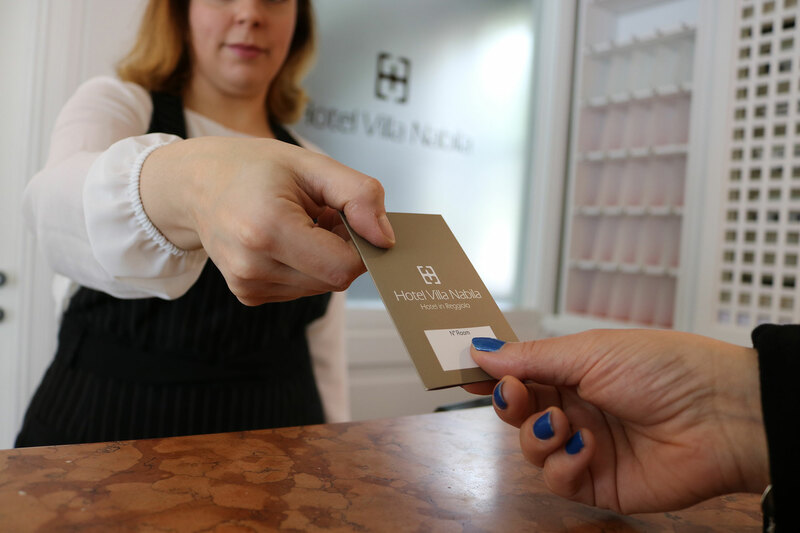 The Hotel Villa Nabila staff is at your complete disposal to meet any special needs and to turn every stay unique. You can discover the Emilian warmth during the stay at the Hotel Villa Nabila, where you will enjoy the friendly and sincere identity about this land and its inhabitants. The qualified staff of the hotel, with its familiar and joyful style, will provide you information and suggestions and welcome you in the best way. Hotel Villa Nabila has availability of 25 rooms equipped with every comfort and the garden where you enjoy a magnificent breakfast.